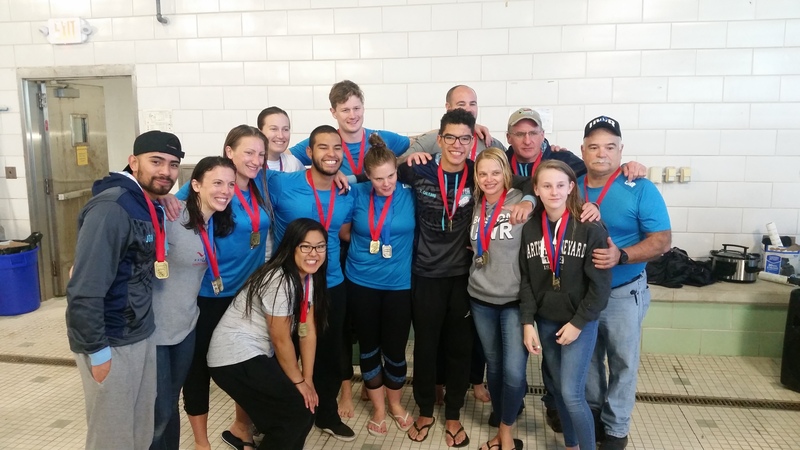 The 2018-19 US Underwater Rugby Season continued during the weekend of February 15-16 in Quincy, Massachusetts hosted for the second time by the Boston Narwhals. Its been a while since the Boston Narwhals hosted the 2nd North American tournament back in 2012. US UW Rugby has grown since then, where only 4 US clubs, a mixed (orphan) team and 2 Canadian clubs participated. The mixed orphan team surprised everyone winning the tournament. This time 8 teams on the open division and 5 teams in the women’s division (including a Canadian female team for the first time!) met to compete in what became a very exiting UWR weekend. 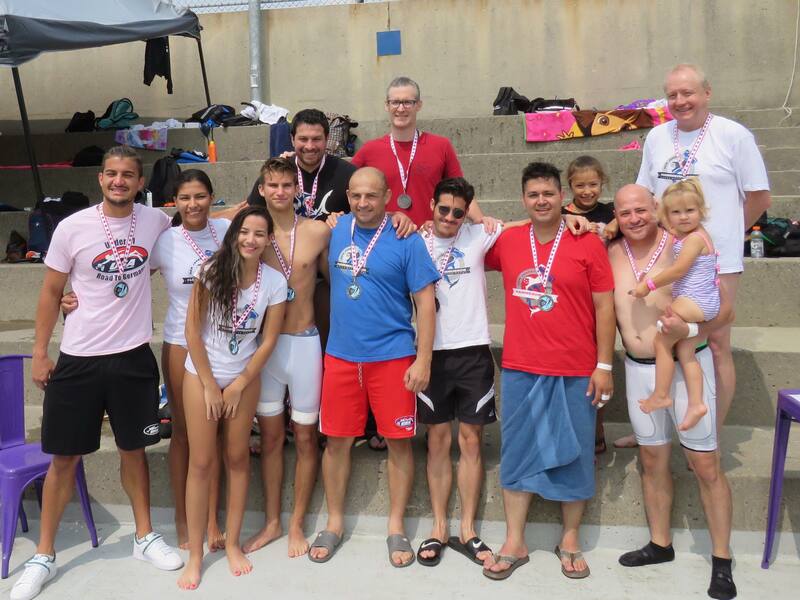 The open division was divided into two groups on which the runners-up from the last tournament the NJ Hammerheads met the CT Makos, Toronto UWR and Boston Narwhals B. Group B had the defending champions Boston Narwhals A, CAMO RS, Florida Krakens and SF Sea Bass. Group A was dominated by HJ Hammerheads followed by the CT Makos. Group B was very competitive and games came with very tight scores, qualifying the Boston Narwhals A and Florida Krakens to semifinals. The final was again a very disputed game between the hosts Boston Narwhals A and NJ Hammerheads. The Narwhals took the lead early on the game with a quick counter-strike by Mateo Galeano, followed by a second goal five minutes later by the other Galeano brother, Tomas for a 2-0 lead. The Hammerheads responded 30 second later with a quick goal before the end of the first half and the score of 2-1. The second half was extremely disputed and time-penalties affected both teams performances but at the end it was the Boston Narwhals that were able to keep the score to their advantage and winning the Second Round of the 2018-19 Season. On the ladies side the CT Makos participated with 2 teams, along with the Boston Narwhals, DC UWR and for the first time a Canadian team (CAMO RS) participated on the women’s tournament on a big effort to have a first step towards the development of a Canadian Women’s team and future league. The very young CT Makos A team dominated the round robin with only a tough and disputed game against the Boston Narwhals ladies, that the Makos won 4-3. On the final game these two teams met again but with a very clear superiority on the game by the CT Makos winning easily by 5-1. The US Underwater Rugby committee met earlier in October to decide the new 2018-19 Underwater Rugby Season which came with some changes affecting the North American League and the US National competition. The US UWR Committee decided to have a US UWR season consisting on three (3) National Tournament Rounds that will award points so at the end of the season the club with most points will be the National Champion for the Season that ends in September 2019. Points awarded will go now 5 pts. for 1st Place, 3 pts. for 2nd Place, 2 pts. for 3rd Place and 1 pt. for the rest of participating teams. The previous National League UWR will continue now with only two (2) events throughout the year one in the US and one in Canada and will be decided with the system of points. The NAL event in the US will be one of the National Tournaments mentioned above, that will be valid for both NT & NAL. 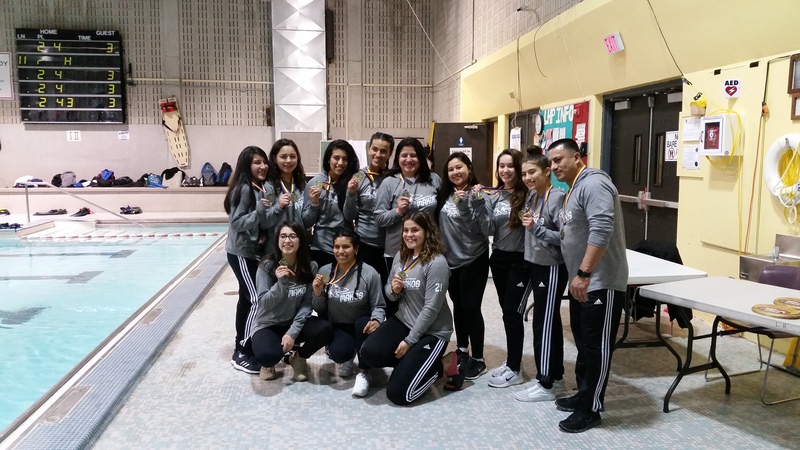 The first National Tournament of the 2018-19 Season was hosted by the NUWR club from Newark, NJ. 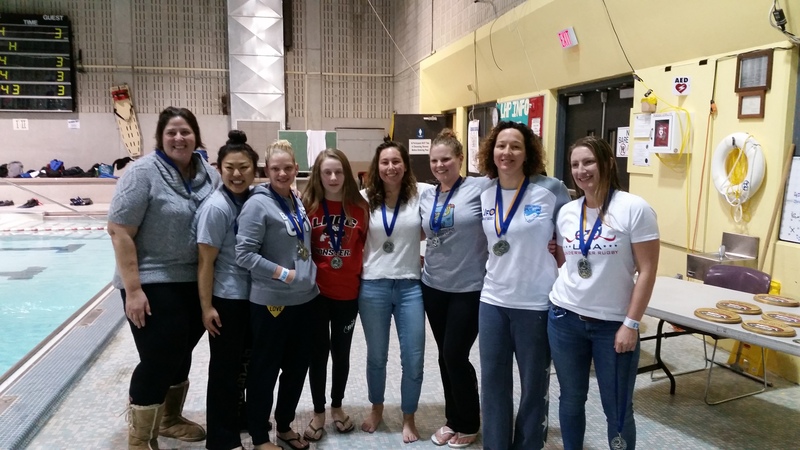 Eight Club teams and 5 Women teams competed on the weekend of October 20-21, 2018 with the highlight of this event becoming the tournament with the record number of women’s teams, five (5) in total. 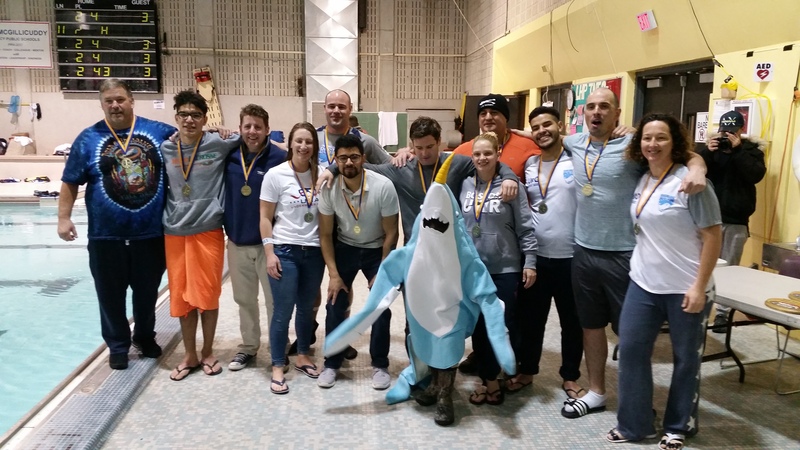 The club teams were divided in two groups Having the defending champion Boston Narwhals as head of GRoup A along with NUWR A, DC UWR and Hammerheads B. The top seed for the B Group was the NJ Hammerheads A team along with CT Makos (formerly East Haven Makos), Florida Krakens and NUWR B.
Boston Narwhals and NUWR A dominated their group easily with 10-0 scores over DC-UWR and Hammerheads B. The match between these top teams came in favor of Boston by a 2-0 win over NUWR A. Group B was a bit more challenging to the top teams NJ Hammerheads A and Florida Krakens who had met on the first game of their group and was decided in favor of Nj Hammerheads over Florida by a close 1-0 final score. On semifinals Boston narwhals defeated Florida 4-1 while the NJ Hammerheads A beat their counterpart NUWR A on a close game by 1-0. On the third place game NUWR A defeated a surprising Florida Krakens team by 1-0 on a very strong and close game. The highlight of the Club tournament was the final game between Boston Narwhals and NJ Hammerheads A. These two teams met on the 21st NAL in Pompano Beach on a breath taking final in favor of Boston 2-1. This time was not the exception. The first half ended with a 0-0 score and early on the second half the NJ hammerheads surprised Boston wit a goal from Daniel Naujoks. The game seemed to end in favor of the Hammehreads but a very quick pass by Filip Mundt left Mateo Galeano in perfect position to score the equalizer. After the 1-1, the Hammeheads were closer to score but ran out of time. The penalty shoot-out ended tied again after each team missed one of the three shoot-outs per team. Then on the one to one series the Boston Narwhals won after three more chances being this the closest and breath taking tie break. 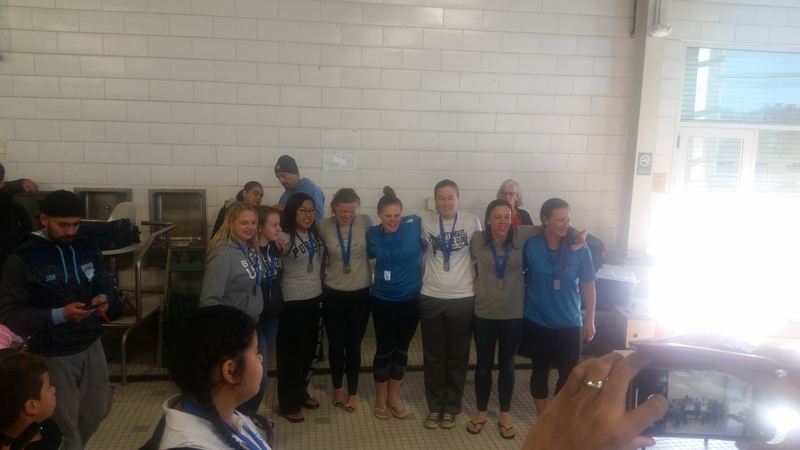 The women’s tournament had a Round robin with 5 teams on which The Connecticut Makos A (former East Haven Makos) dominated the group followed by Boston Narwhals. The third place game ended up in favor of the DC UWR team over NJ Hammerheads by a clear 5-0 while the final game between CT Makos A and Boston Narwhals was also a strong game but dominated by the fast players from CT Makos with a final score of 4-1. The final results on this tournament confirm the excellent level of the teams previously qualified to represent the US at the Champions Cup later this year in Berlin. We wish the best to the Boston Narwhals and the Connecticut Makos on their Champions Cup participation. During the weekend of August 18-19 the 22nd. 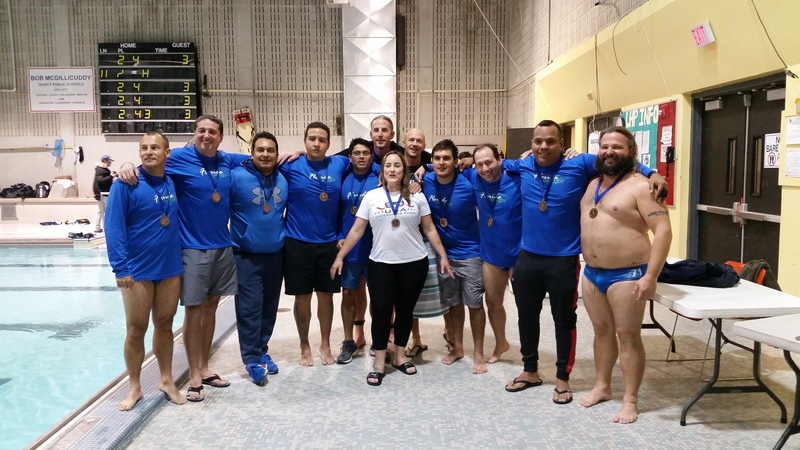 North American Underwater Rugby tournament was held at the Donald D. Summerville pool in downtown Toronto. 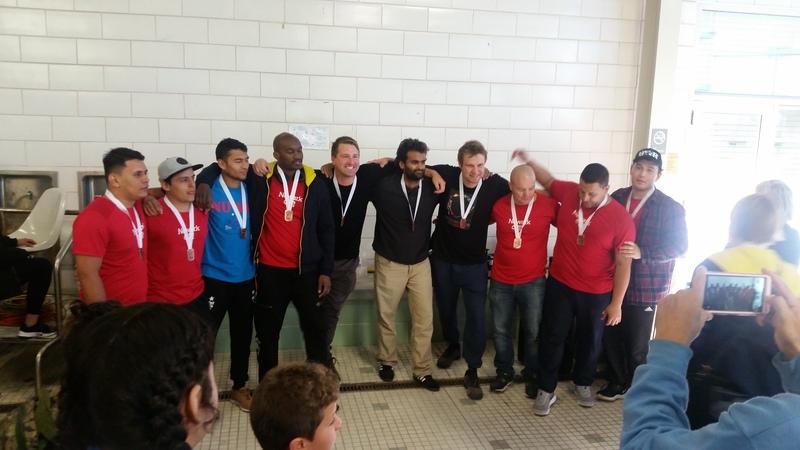 The second time of this summer tournament in the city of Toronto, Canada brought four (4) teams from the USA and four (4) from Canada. American teams from Washington DC (DC-UWR), New Jersey ( NJ Hammerheads), Boston (Boston Narwhals), and the USA women team participated on this edition. Canadian teams from Montreal (CAMO RS), Brantford (Brantford UWR), Toronto (Toronto Raccoons) and Timmins, a brand new Canadian team that made its debut in the North American League. The Timmins Torpedoes with the nice logo and uniform, came all the way from far North Canada to play their first tournament. They are a great example of sport development in the community, willing to learn and grow. All 8 teams played in 2 groups to define the ranking to play the semifinals. After the first round of games the top 4 teams were decided to play the semifinals (Boston and Toronto from group A) and CAMO and Hammerheads from group B. Two really intense and even final matches were played. Boston vs Toronto for played for the bronze on a second game after having played previously during the group round. Toronto beat the current NAL Champions Boston in a dramatic way after being twice under 0-1 and 1-2 on the score and finally winning 3-2 . A similar dramatic final game for the gold happened between Montreal and the Hammerheads. During the group round both teams played the first game and the Hammerheads won 3-2 after a half time in favor of CAMO by 0-2. The final game was even more competitive and only a small mistake by the Hammerheads at the end of the 2nd half allowed Montreal to take the gold with a final score of 1-0. The Toronto Raccoons appreciate the participation of all clubs to this event and hope to see you in the next competition. This was the last NAL tournament of the 2017-18 Season on which Boston Narwhals secured the 2017-18 NAL Championship title despite showing a mixed team and making no points under the NAL rules on this round. The Narwhals secured the NAL Championship title for the season with the points earned during the previous rounds of this season. October will be the start of the new 2018-19 Season on a location to be decided soon. Great news are coming from the Canadian side of the NAL border as four Canadian teams are about to participate on the 2nd edition of the North American UW Rugby Tournament this upcoming August in Toronto. The regulars have been so far Club CAMO (Montreal, QC) and Toronto UWR (Toronto, ON) together with Club Liberation (Branford, ON) but this August a third club team from the province of Ontario will make their debut as the Timmins Underwater Rugby team, from the City of Timmins, Ontario. 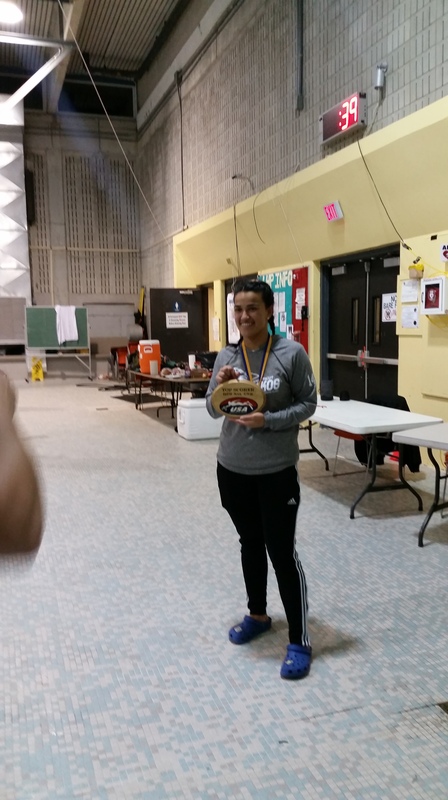 uwrugby.org contacted their organizer Alex Gagnon for a short interview to introduce Timmins UWS to the rest of US and Canadian clubs. UWRUGBY.ORG: It was a great surprise to find that a new canadian team has joined the uw rugby world! How did Timmins UWS started? Alex Gagnon: When you initially contacted me about this, I didn’t realize there were only 3 other teams that currently still exist across all of Canada. It doesn’t surprise me though as I understand now the obstacles that face a new club. 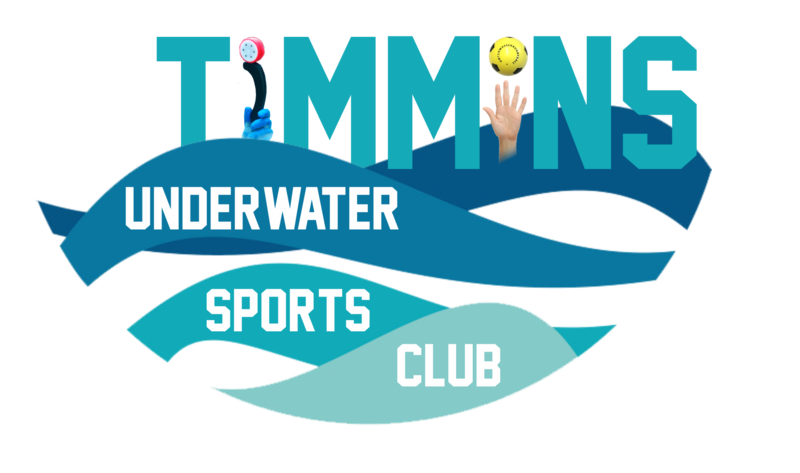 Timmins isn’t a big City compared to the other UWR club locations and Underwater Sports usually attract only a small demographic due to it’s perception of intensity. I was lucky to have formed a partnership with my City and local pool to accommodate my initiatives, be flexible with my needs and promote my efforts. How do you get people to pay about $15 (cover pool rental) to try something they don’t know they’ll like or even stay around for? This is why it didn’t surprise me how not many clubs survived. You need to establish a strong interest of participants that can assure numbers at the pool sessions but as a start up how’s this possible? I was able to share the Friday night public swims with the City by closing off a small section of the pool and taking drop-ins who were curious of what we were doing. 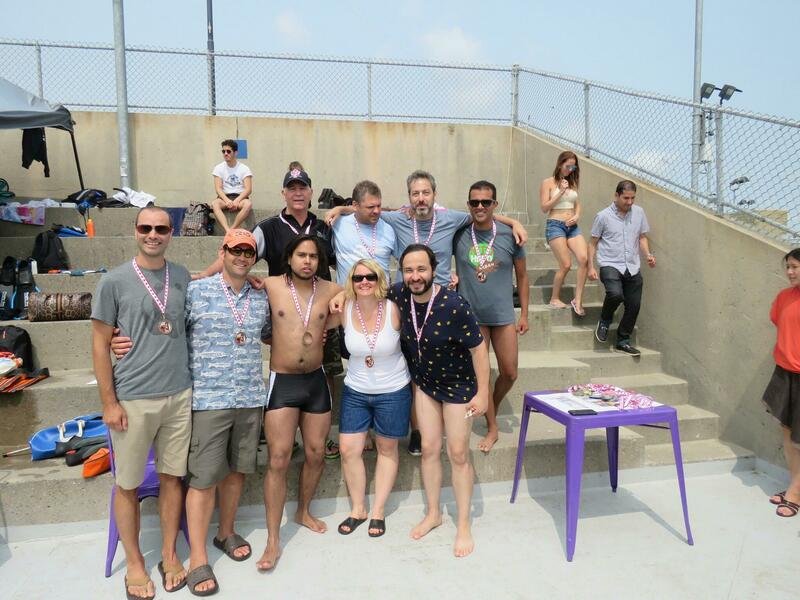 It was a win-win, they only charged the normal public swim and I brought in regulars who kept coming for the sport. This was a great system….except I received drop-in newcomers in the dozens at times, which is great but also many didn’t expect to join nor had gear for it. Which is the other reason I see Clubs’ tough lifespan. I did get some donations/support from the Toronto/Guelph Underwater Rugby & Hockey clubs and thank them very much but even with that I had to invest in gear for UWH & UWR for numbers that I couldn’t predict. I bring in 3 full bins of gear to the pool to supply over 20 participants if need be and bring them back home every evening to clean and sanitize each piece for health & maintenance reasons. I once had 133 pieces of gear to clean right after a drop-in evening! UWRUGBY.ORG: Who is the organizer? 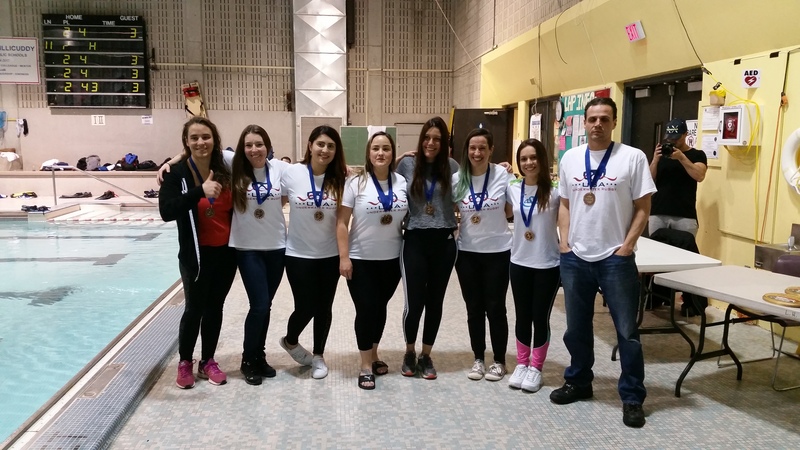 A.G. My name is Alexandre Gagnon and I can proudly say I have brought a surviving Underwater Sports Club to Timmins. 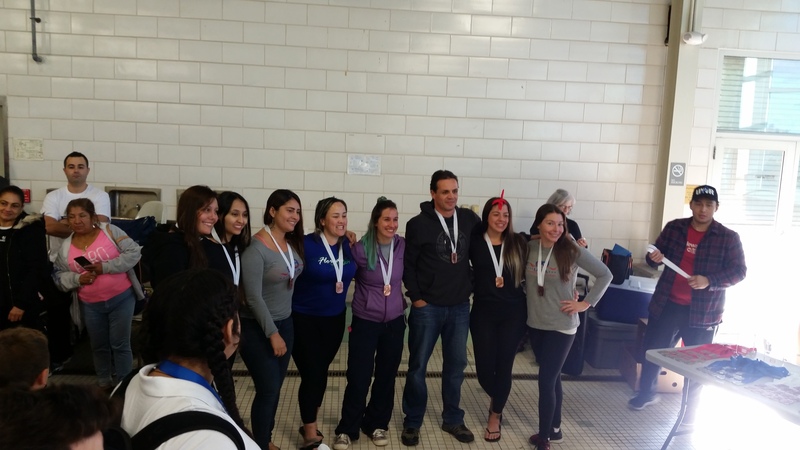 Underwater Hockey started October 2017 and drop-in sessions every Friday night and Underwater Rugby started in March 2018 running drop -in sessions only Monday Evenings for the first few months and now 2 sessions a week (Wednesdays too). UWRUGBY.ORG: Where is Timmins located? A.G. Timmins is a mining community in Northeastern Ontario, approximately 8 hours from Toronto and has a population of 41 788 residents. Going the other direction it is about 7 hours from the Sault Ste. Marie, Michigan border. UWRUGBY.ORG: How many days a week do you practice UWR? A.G. 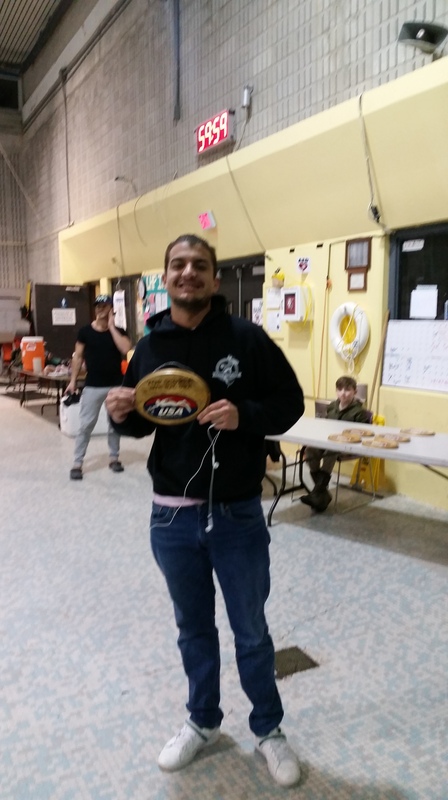 Currently we practice Underwater Rugby twice a week; Monday and Wednesday evenings 8:15 to 9:30 PM, to accommodate the various schedules of our regulars as well as to have more time to build endurance, skill, welcome more newcomers and simply add more joy to our week. UWRUGBY.ORG: Having the real UWR goals (baskets) is a big milestone for clubs. Does Timmins have them yet? A.G. 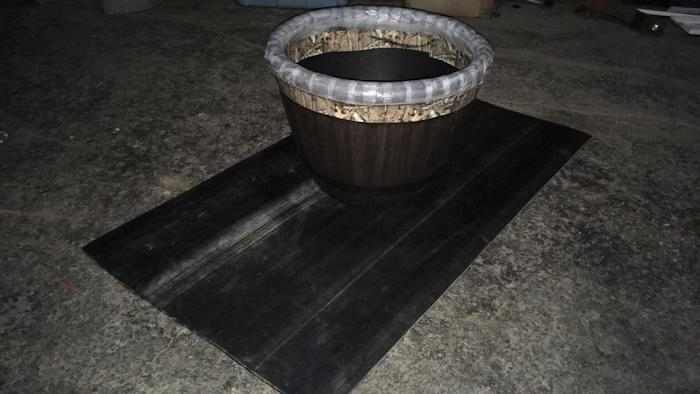 I did not invest in the grand amount for nets as a start up but MacGyvered hours to make the closest replica that I could within my means that could also withstand chlorine water submersion vs. stainless steel. I attached photos of our plastic & foam, mining belt, tywrapped UWR goals. They are a bit wider than regulation nets but about the same height. Maybe the regulation nets will be easier to goaltend on for us when it comes to tournaments as it is a smaller hole to cover! UWRUGBY.ORG: US and Canadian clubs started a collaboration to develop the sport in both sides of the border through the North American League (NAL) Do you see your team going to tournaments in the US soon? A.G. I definitely could see this possibility become a reality. We are doing our first tournament this August in Toronto where US teams are travelling to us and if that experience is enjoyed by my members I could see them eager for future tournaments against the same and new teams. I know fees are a challenge when it comes to tournaments with each members personal financial situations. I never wanted that to impede on someone’s potential to experience an Underwater Sports improvement opportunity. This is why I can see a US tournament (further, more costly) easier to swallow as I have set up fundraising efforts for our club through a business I own to try and cover most of the costs (attached image). UWRUGBY.ORG: I guess your background is UWH. What did you liked about UWR that made you start the UWR part? A.G. I did start with hockey as it was easier to get people to try out for the first time. A good chunk of my Underwater Rugby regulars come from being UWH regulars who were very competitive and intrigued from the sounds of UWR. I always planned on adding the sport but knew I had to build that committed group first as it is perceived as an intimidating activity. Now others seeing us scrimmaging during Adult Swims and people who try UWR sharing word of mouth increase our numbers. UWRUGBY.ORG: What are the dimensions and characteristics of your pool? UWRUGBY.ORG: Do you want to send a message for the US and Canadian uwr teams? We are fairly new club but we can still make the other teams work. We are eager to learn from the experienced as well as perhaps bring new challenges to the Underwater play seen at previous tournaments. For any other Canadian individuals looking to create an Underwater Rugby team, DO IT! The work is endless and takes much of you, you may invest more time and money than you should….but it is so worth it. 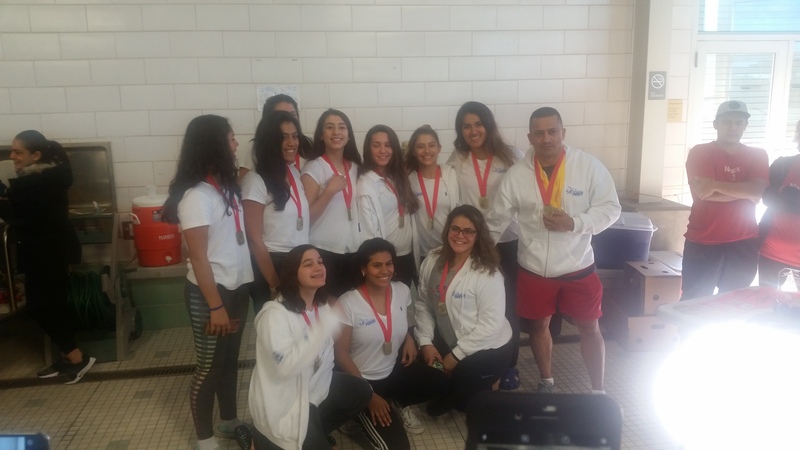 Underwater Sports Change Lives! We have seen amazing transitions in swim ability from players simply attempting to get to depths, players with deep end fears of drowning overcome the phobia, we have had smokers quit their addiction to improve lung capacity and even had someone quit and move out of an employment that took over almost every minute of his weeks to be able to make practices and he discovered a better workplace-life-family balance. Also our 2 youngest players are a 15 year old girl and a 16 year old boy. Don’t be fooled by their age, they are tough and very dangerous! haha. 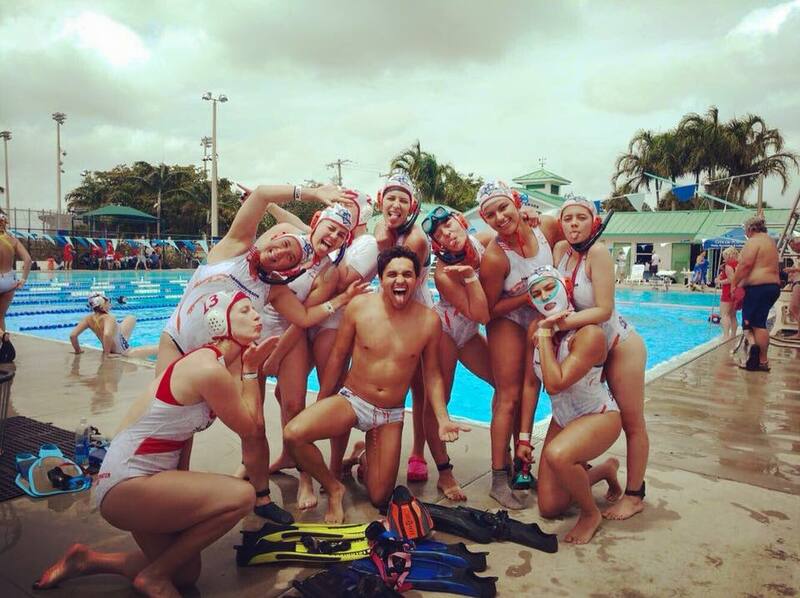 In May the tryouts for the USA Women’s Underwater Rugby Team was completed. Many players traveled to Florida for a tournament and coach, Juan Sevillano made use of this time to conduct fitness tests on Friday and the final of three tryouts on Monday following the tournament. 34 women came to the third tryout. The number and caliber of players was a significant improvement from previous years. Juan has shown his dedication to the process by sending the players drills and expectations in advance, recruiting volunteers to help with timing during fitness testing, and communicating the selection process with the players from beginning to end. Juan brought in an amazing player, Natalia Londoño, from Columbia to teach scoring and other drills. Together they broke down many skills and allowed the players ample time to practice. The idea being that even women who don’t make the team can continue to improve and help others grow. The players broke out in scrimmage to allow Juan to analyze their skills under pressure in game situation, with focus on fast passing and avoiding attackers/surface play. The mood was excellent at the wrap up of the tryouts. 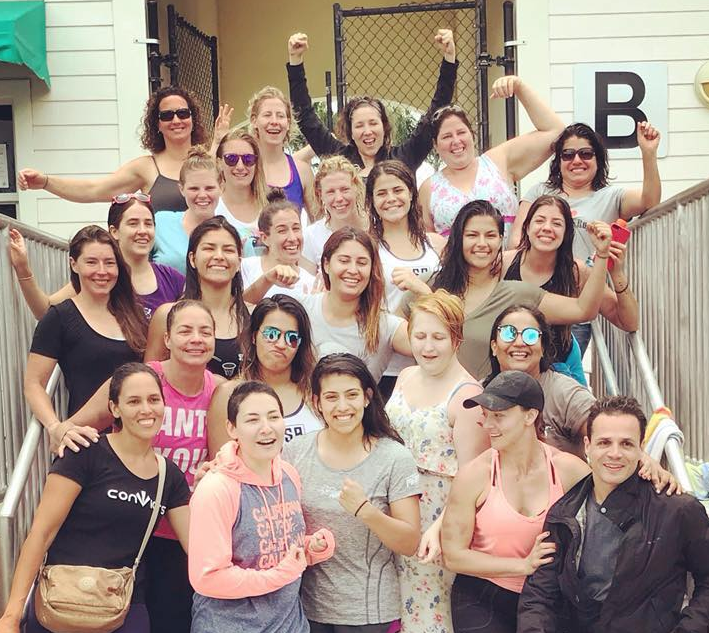 Juan and veteran player, Laurie Picot McGrath, highlighted the growth that’s been made with this group of women and the sport of underwater rugby in America. The vast majority of players met up for a meal and to celebrate the conclusion of a great weekend. Players sent in their recommendations for a “dream team” and Juan announced team selection shortly after. The larger group was whittled down to 21 players, with many women commenting on how difficult it was to select which players moved on. The coach wanted 20 players but several were at the same level, so he selected them all. What’s next? These 21 players will train hard, in and out of the pool, to improve their skills. Already several women are in Columbia to practice with the experienced teams there and 3 teammates from Boston are set to travel to Sweden for a training camp. 15 players will be selected to attend Worlds in Graz, Austria in Summer 2019. 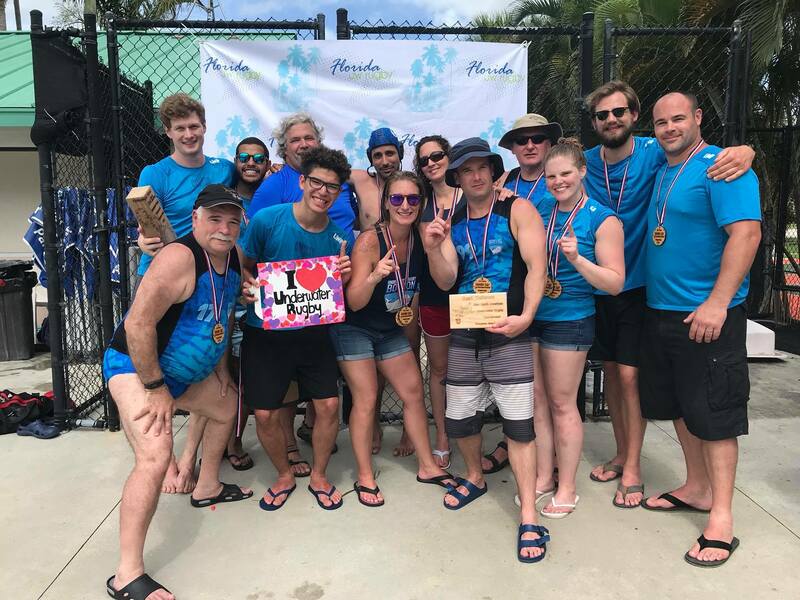 The second and last North American Tournament in US soil for the 2017-18 season was literally played in and out of the pool “underwater”. Despite of the rainy weekend due to tropical storm Alberto, all the activities planed for the long weekend of Memorial Day were sucessfull starting with Friday May 25th and the second round of try-outs for the 2019 US National men’s team. US Men’s National Coach Jose Echeverry directed a 6 hour session with Physical tests, drills and games to follow the 25 candidates present during this event. 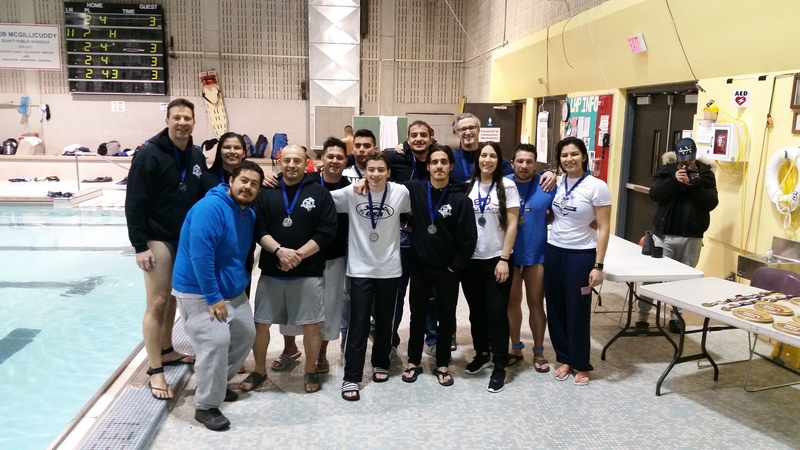 Saturday and Sunday were planned for the 21st North American Tournament (NAL) in the two US categories; the club (co-ed) tournament and the second round of the ladies tournament. On Monday Coach Juan Sevillano directed the 3rd try-outs for the US Ladies with drills and games. 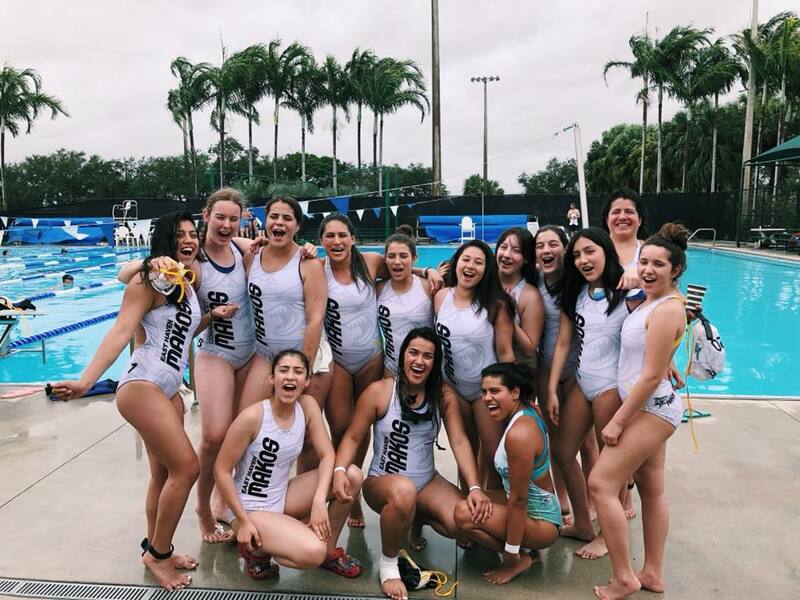 Top Colombian player Natalia Londoño from Club Castores and the Colombian National team was invited to help oversee the American ladies games. 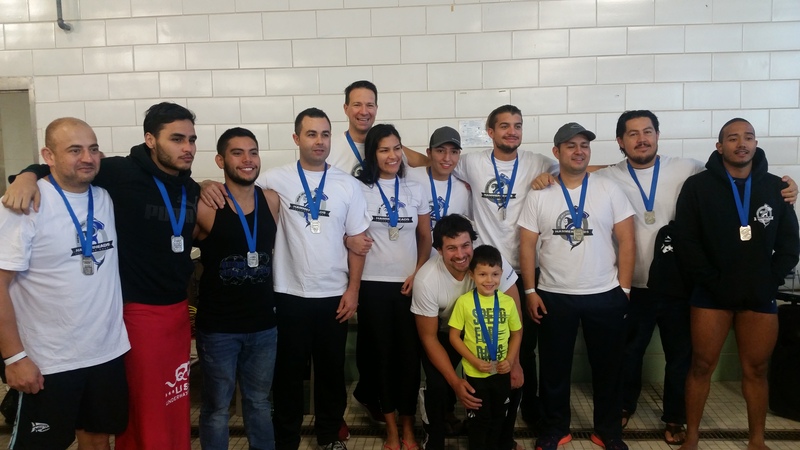 Ten (10) Club teams and four (4) ladies teams participated during 34 games to find the winners of this round of the North American League as well as the US Champion teams for the 2017-18 Season. The 10 teams were divided onto two groups of 5 teams each. Group A had Boston Narwhals as the defending Champions from the previous round in Montreal, New Jersey Hammerheads A, San Francisco Giant Sea Bass, Florida A and NUWR B. This group was very competitive and all the games were strongly played. Boston Narwhals and the New Jersey Hammerheads qualified for the semifinals. Group B had NUWR A as well as the East Haven Makos, NJ Hammerheads B, DC UWR and Florida B. At the end of the Round Robin NUWR A had apparently an easy ride, winning all their games by K.O. (10-0). The East Haven Makos also qualified for semifinals. The semifinals brought surprises for the qualified teams. The first semifinal was between NUWR A and the New Jersey Hammerheads A teams, both from Newark, New Jersey. The New Jersey Hammerheads A defeated NUWR A by 3-0 in a very fast and strong game sending the Hammerheads straight to the finals. On the other semi-final the Boston Narwhals played against the East Haven Makos and defeating the second with a final score of 4-0 sending the Boston Narwhals to their sixth final game in the last six North American Tournaments, an impressive record. The game for 3rd and 4th place between NUWR A and the East Haven Makos was a copy of their first match during the group round with an easy victory for NUWR A by a score of 10-0. The final game was a completely new final match in the history of the North American Tournaments. This was the first time Boston Narwhals and NJ Hammerheads played a final game against each other, but not during this tournament. Their first game was during the group round on which Boston defeated the Hammerheads by a close score of 2-1. The final game was as strong as the first game but with fewer mistakes from both sides until Boston capitalized a mistake by the Hammerhead defense and got the goal that made the difference at the end of the game with the 1-0 final score. SF Giant Sea Bass 1pt. 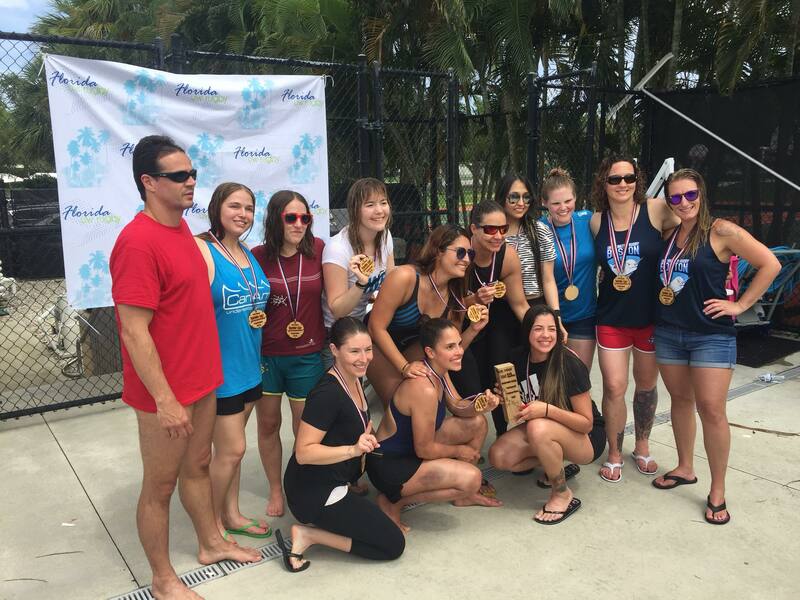 The second round of the Ladies tournament had the participation of 4 teams; Makos Ladies, New Jersey Hammerhead Ladies, DC-Boston Ladies (formerly Mixed Ladies) and the Florida Ladies. The round robin came with strong games and surprises for all teams. Differences between all teams got reduced and games ended with very closed scores. The Dc-Boston team ended first on the group with 3 wins, while the other 3 teams ended-up tied in points and only with a goal difference decided their group ranking having the East Haven Makos Ladies going to the final game with DC-Boston. During the group round DC-Boston and Makos Ladies had a close and strong game that ended with a DC-Boston victory by 2-0. Their final game was even more exciting and disputed on which the East Haven Makos Ladies were defeated at the end by 0-1 and giving DC-Boston Ladies their first victory on the Ladies tournament. The Road to Austria 2019 for the US men’s team started this past Saturday March 25th in Newark, New Jersey scheduled as the first of a series of try-out events in the US for 2018. 22 players from a pool of 41 candidates from 4 clubs participated in this event directed by the US National UWR Coach Jose Echeverry who was reappointed as Head Coach last year. The players from Boston Narwhals, Florida Krakens, New Jersey Hammerheads and NUWR did some physical tests on a early session and finished the day with a series of games and drills, closely observed by Coach Echeverry. Special thanks to the City of Newark and the department of Recreation and Cultural affairs for their constant support.